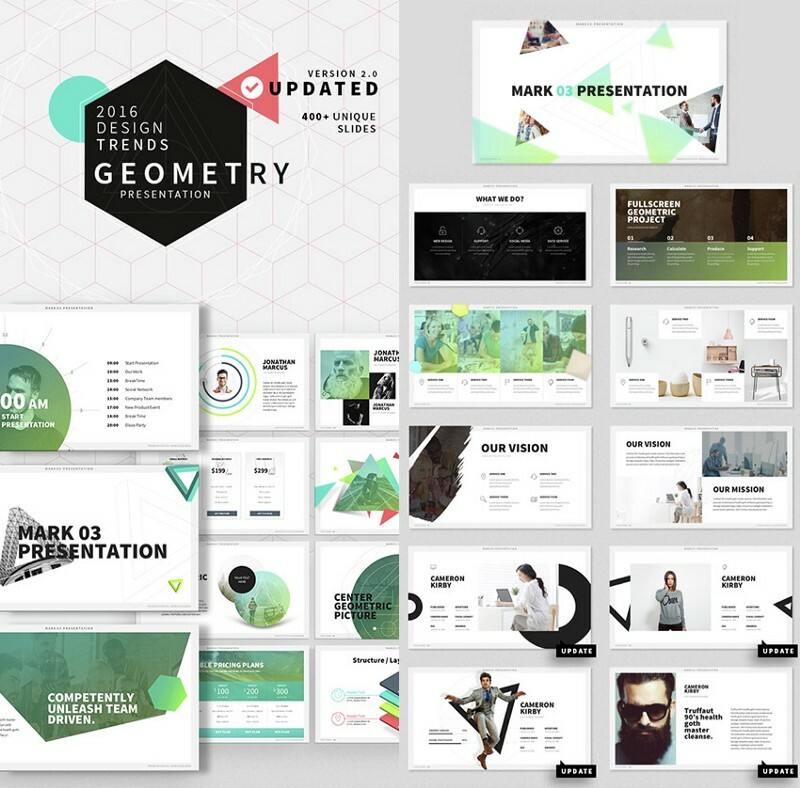 We’ve curated the best PowerPoint presentation design templates with beautifully-crafted slide layouts, amazing graphics, and a bevy of modern options. 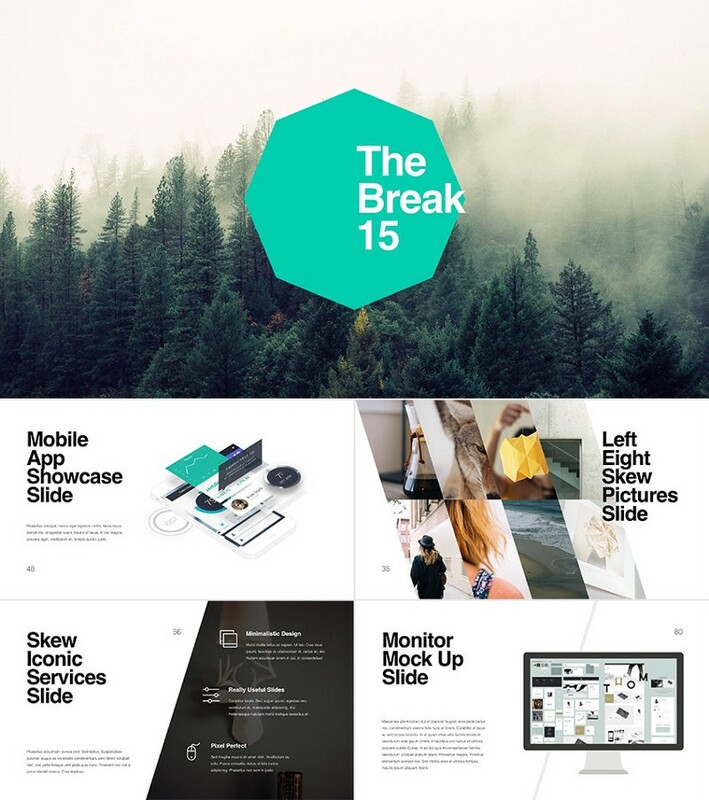 This versatile PPT template has many stand-out slides with a minimal design aesthetic. 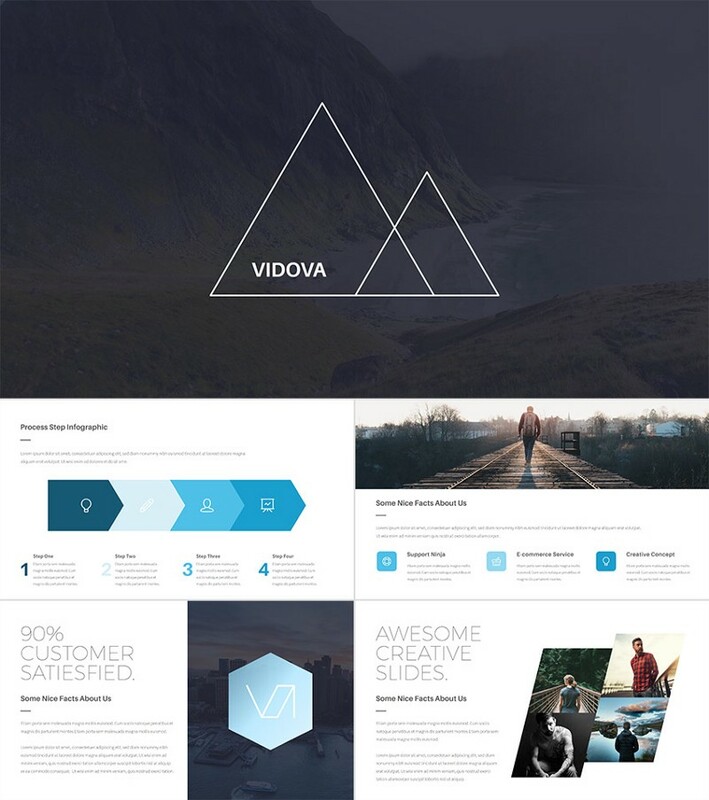 It’s one of the best-looking PowerPoint templates. There are over 200 unique slides in this awesome set, which include: dynamic image with text layouts, handcrafted infographics, edible charts, custom graphics, and more. These PowerPoint slides are setup to work with easily, including image placeholders and professional master slide setup, so you can fully customize your slide designs. Illustrate your concepts and make an awesome PowerPoint design quickly! 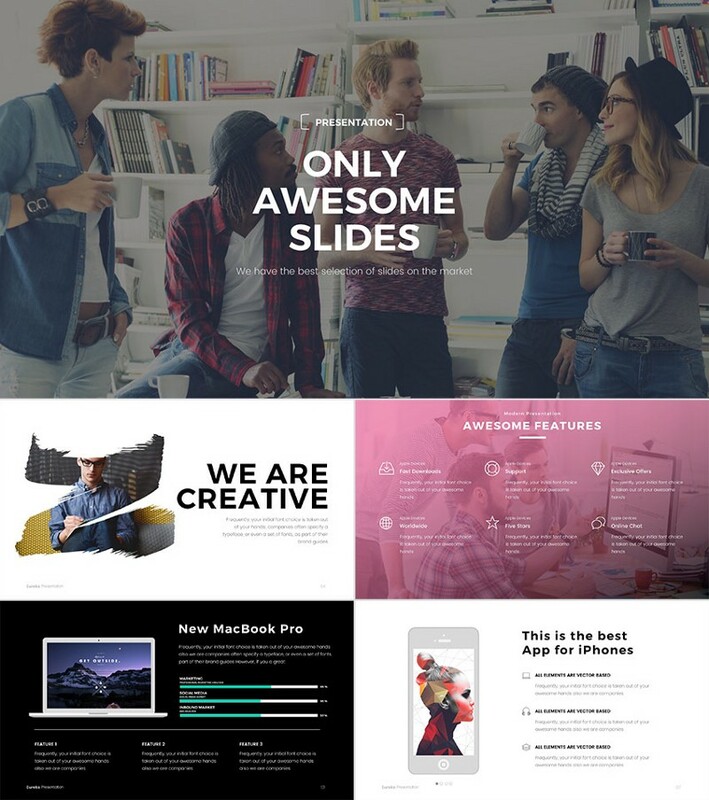 Grab this awesome PPT presentation theme. It has a cool design with transparent overlay features, including stylish color effects that add an elegant modern feel. It’s quick to customize slides are made with smart art, pixel perfect master slides, lots of infographic and graphic element options, and more. Use this set of templates to create a beautiful PowerPoint presentation to impress your audience with. Eureka is a cool PowerPoint template with a modern design, creative slides, and a minimal sophistication. It has an awesome assortment of dazzling styles, such as: compelling use of shape, graphic, and image combinations — within over 200 slide designs. 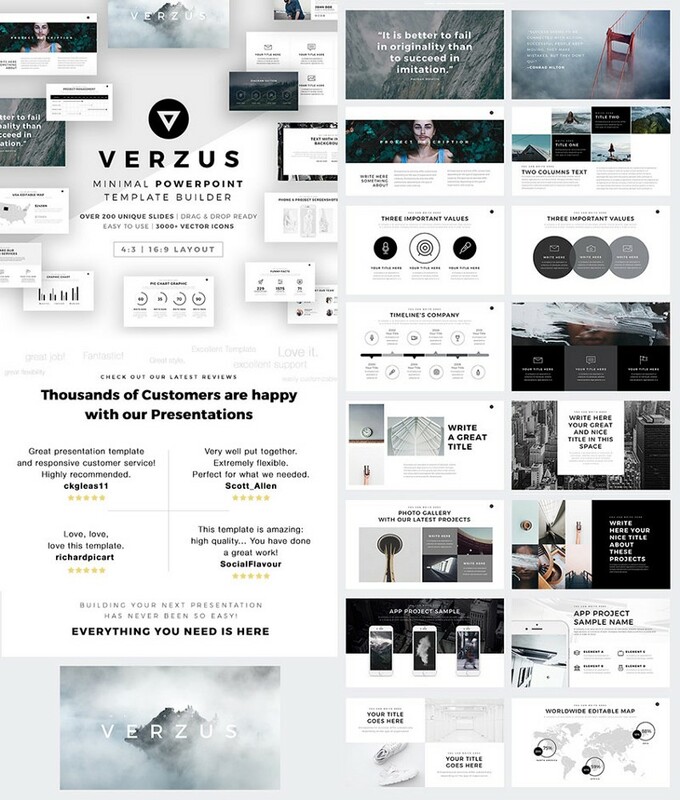 This awesome presentation template is loaded with creative slides and includes hundreds of design options. It’s made for building professional PowerPoint decks, so you can quickly make a killer pitch to investors. 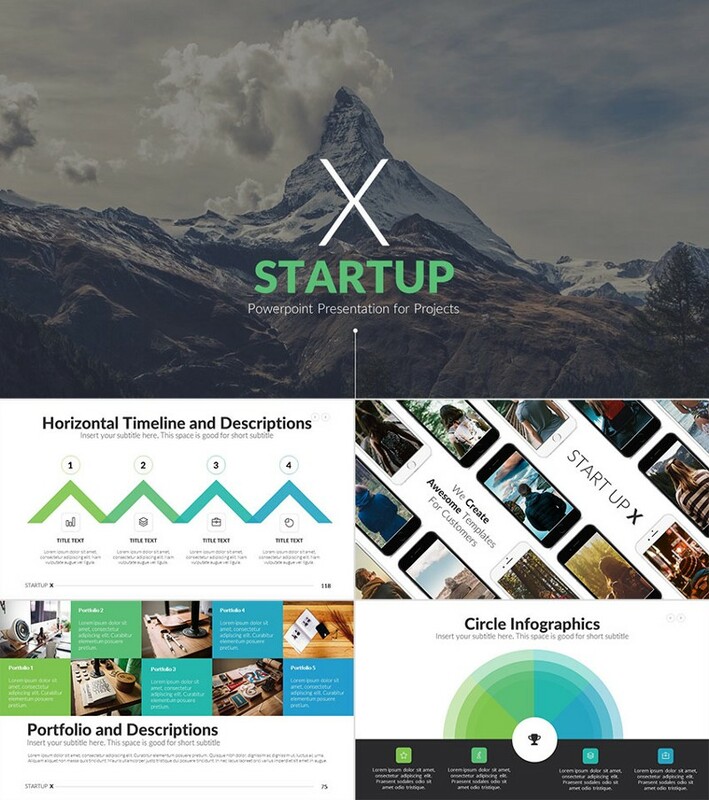 It comes with title, team, timelines, revenue models, infographics, and more slides to showcase your business ideas. It’s also a versatile theme, which you can use as a base for a number of types of presentations. Dynamic shapes, colorful elements, and innovative flair mix with a clean modern design. 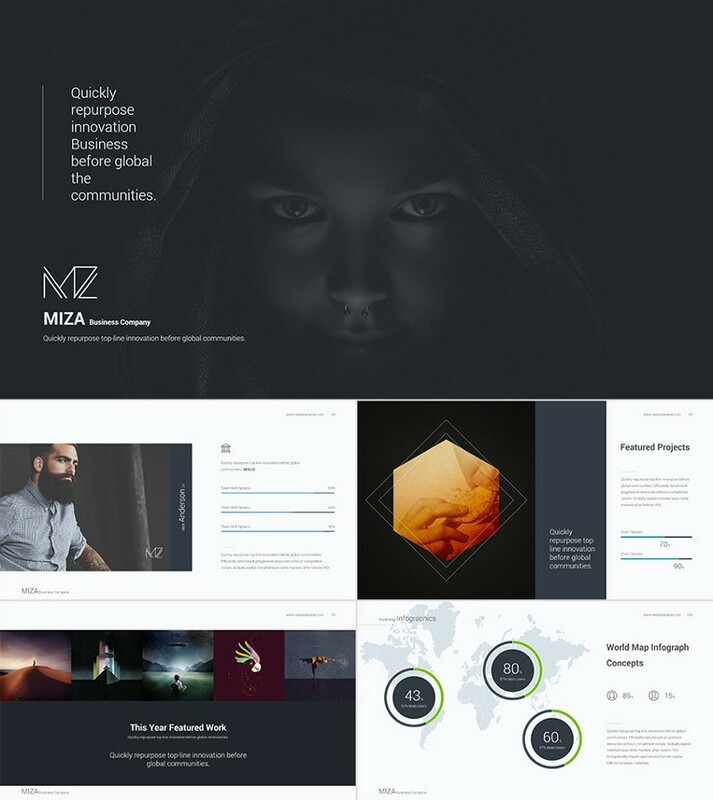 If you have a creative prevention to give, that needs a cool, highly-stylish presentation design, then Mark 03 is an awesome choice. This theme comes with over 400 unique slides with cool PowerPoint designs, such as tables and charts, infographic slides, full image slides. It’s made to be easy to edit, drag and drop picture ready, and fully editable graphics included. Making a striking presentation design is a lot easier when you start with an awesome PowerPoint template. Prism is a versatile theme packed with hundreds of unique slide designs. It has a cool, minimal style and high-quality design assets like vector icons, data ready infographics, and device mockups. 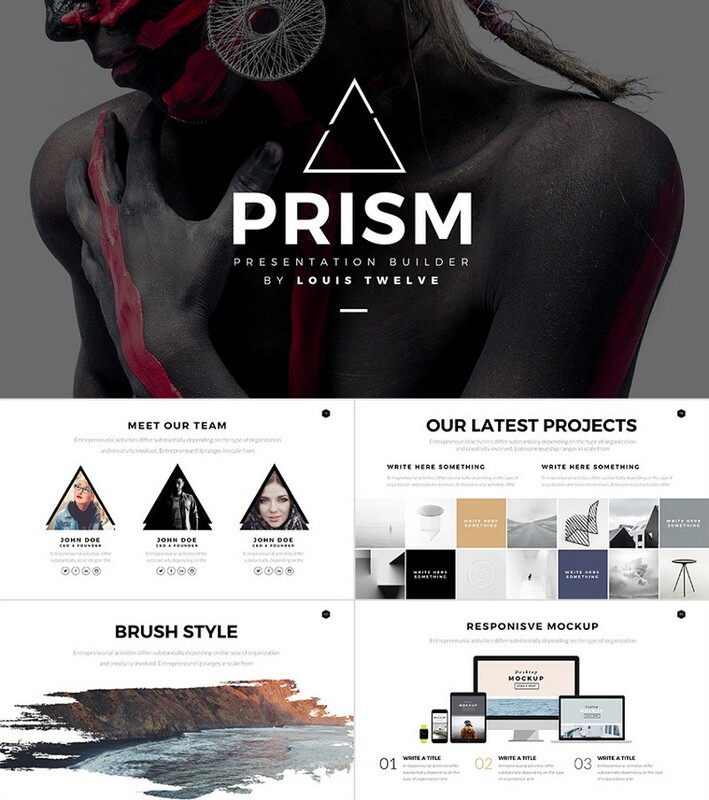 If you start your presentation design with the Prism template builder, you can make a great presentation deck fast! If you have a room full of potential investors to motivate, this modern pitch deck is a great choice to present your innovative idea with. 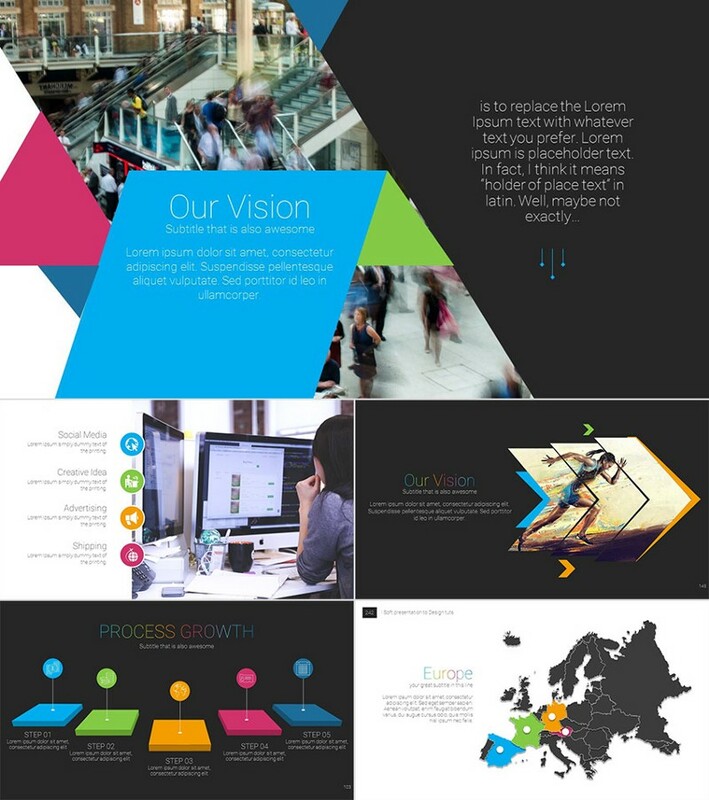 It’s a modern, creative PowerPoint template, with an an attractive set of slide layout designs. 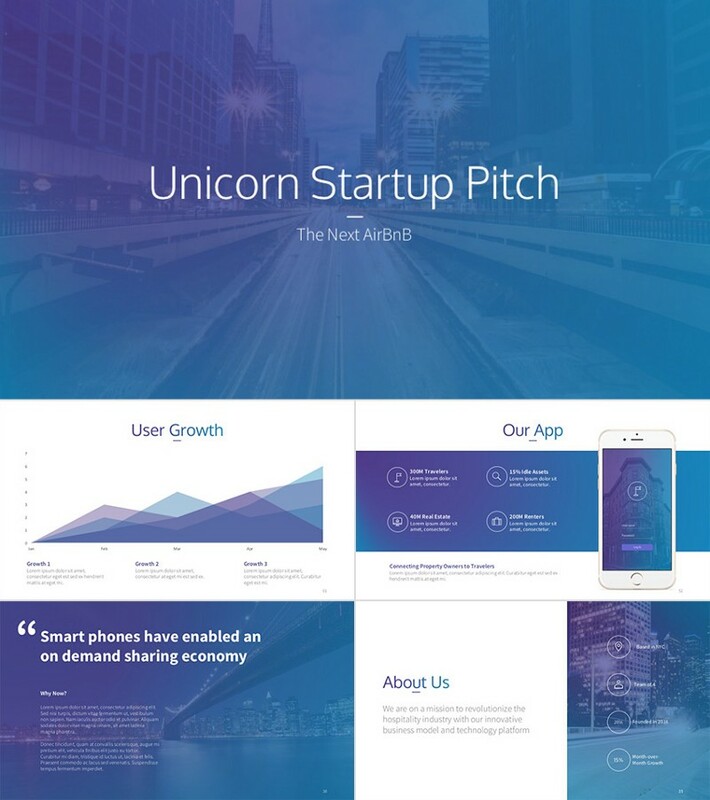 It comes with startup pitch templates built right in, such as slides to give your elevator pitch, details about your business, timeline to go to market, infographics, and more — to help you visualize all your points. 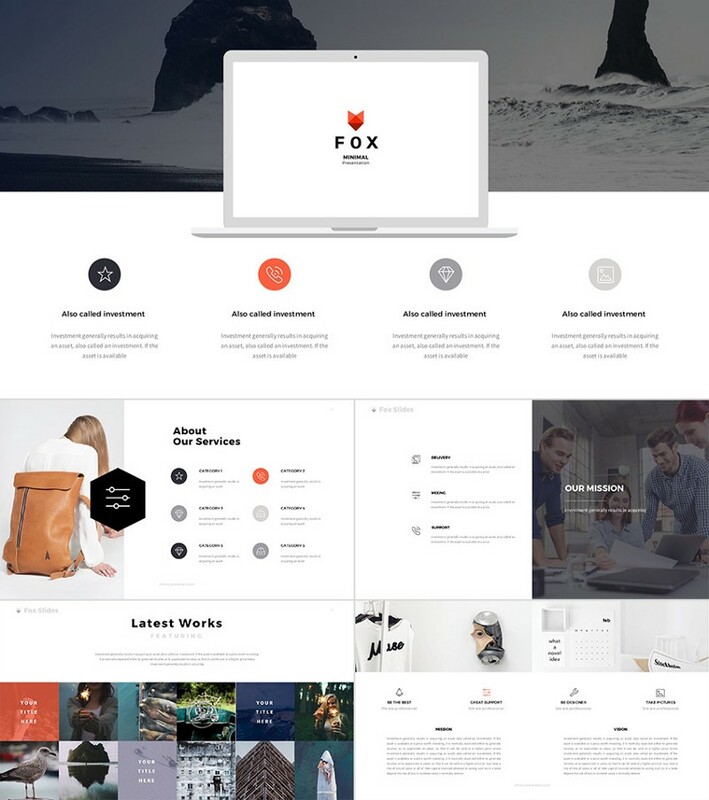 Fox is a modern PPT template with a minimal design style and awesome creative features. It includes over 400 unique slide layouts, a ton of icons, handcrafted infographics, custom animations, and more — so you can customize your presentation quickly. 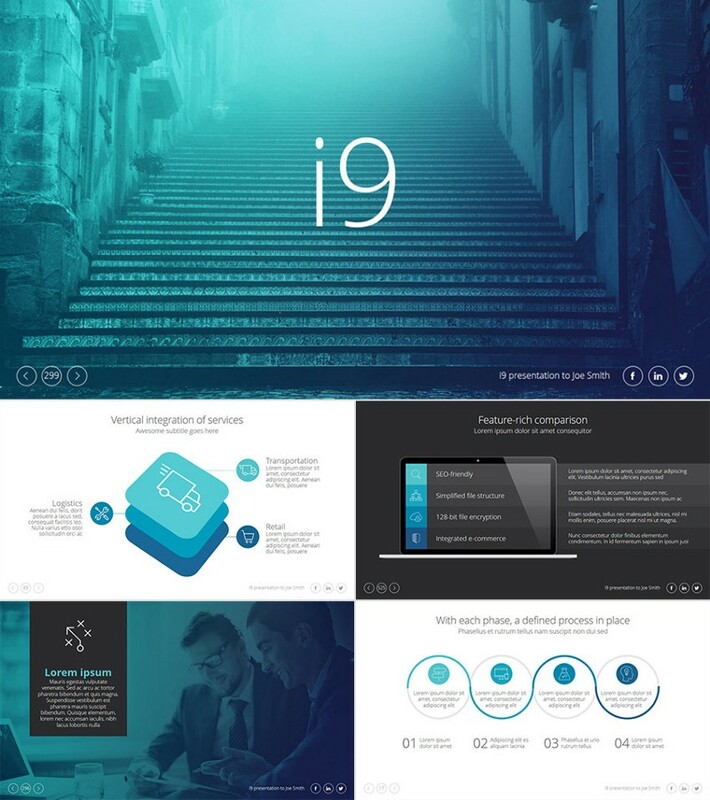 Use this professional, stylish theme to make a cool presentation design fast! 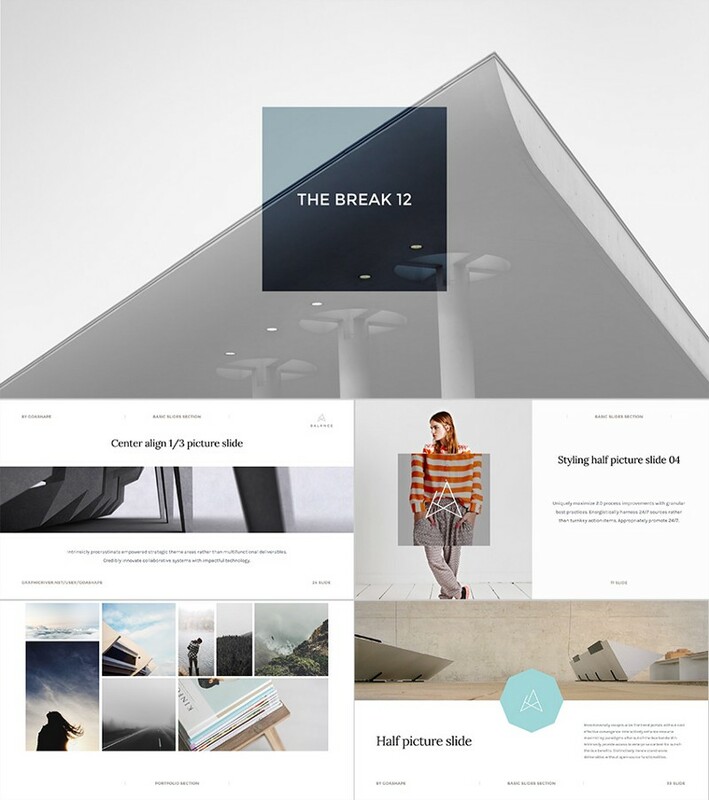 This modern PPT theme has a number of cool features, such as creative shapes, transparency effects, and custom graphics that add elegance to these professional, minimal style slides. 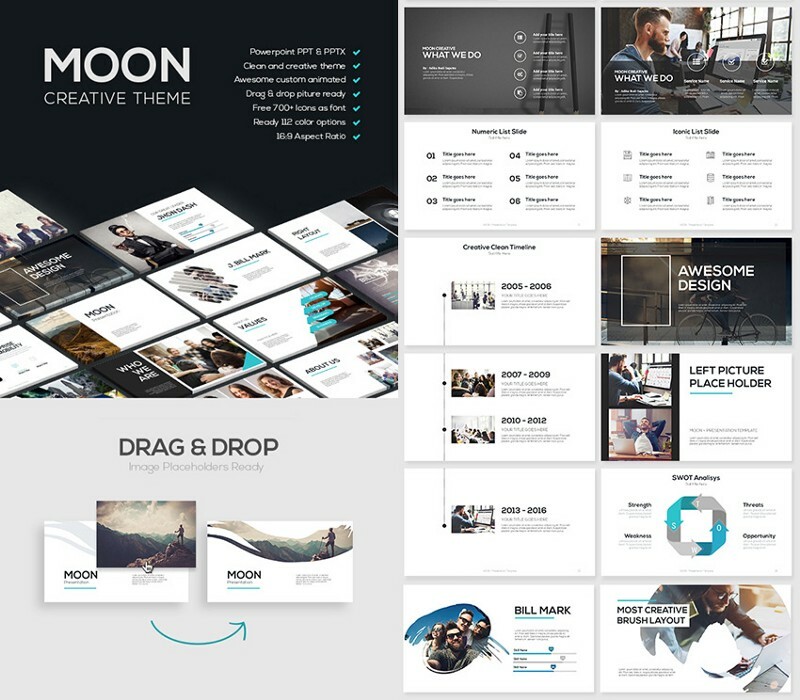 With an awesome mix of infographics, text with photos layouts, and plenty of presentation options with cool PowerPoint designs, Moon is a great template set to work with. Ready to edit quickly, it comes with slide designs for showcasing your team, your mission, your business timeline, as well as your products and services. It’s packed with illustrations and unique graphics, with calendars, device mockups, color-coded maps, useful diagrams and so much more! Your best ideas need to be heard. To make an impact when giving a presentation, you need visuals that back up your points and communicate clearly. 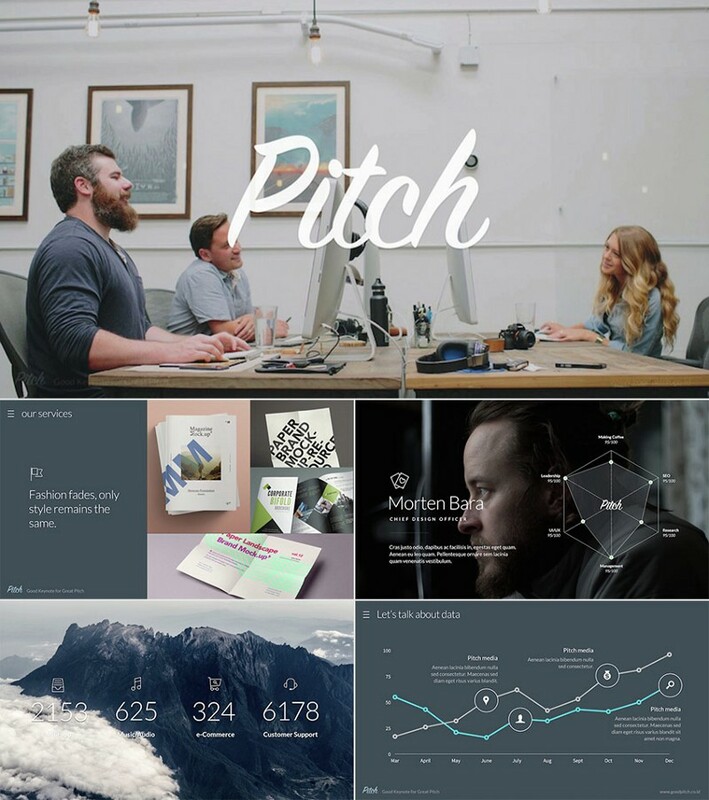 Pitch is a modern PPT template with a cool set of creative slide designs that are made to persuade. Whether you need to pitch investors, showcase your company at a conference, or tell an innovative story, this presentation set has you covered with all the professional assets you’d need! To create a great presentation can take quite some time, unless you start with a PowerPoint template that has a great set of slides and design features that make it easy. 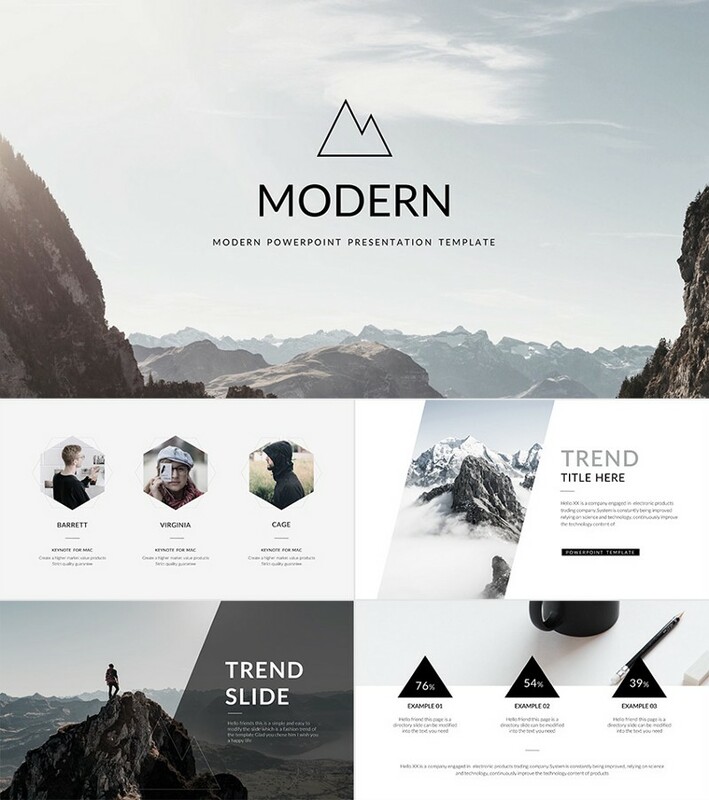 Kaspian is a PPT set with a cool, minimal style, that pairs dynamic shapes, and cropped photos, with skewed elements on angles and classically clean text layouts. This high-energy deck is ready to use to showcase your powerful ideas! 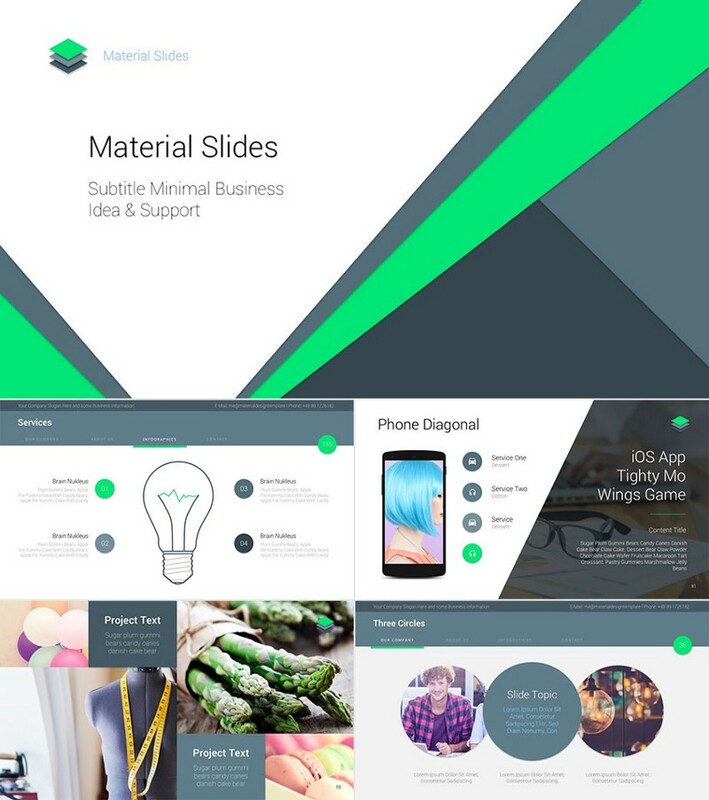 The Material design PowerPoint theme has a flat trendy style, which is great for creating cool presentations that showcase modern businesses, software or online service companies, or innovative ideas. There are over 200 easy to edit slide designs, multiple header and backgrounds styles, as well as an assortment of graphics and unique color combinations. It’s overloaded with creative slides, for telling a great story, highlighting your business strategy, and showcasing your success! This five star rated PowerPoint template has a very cool design with a unique minimal aesthetic. While it’s packed with over 150 modern slide designs, and custom layouts, it doesn’t feel overdone. You can quickly create an authentic presentation with an awesome PowerPoint design — one that convinces visually and backs up your powerful points! If you need a clean PowerPoint template with a simple cool style, then this Modern presentation design is made for you. 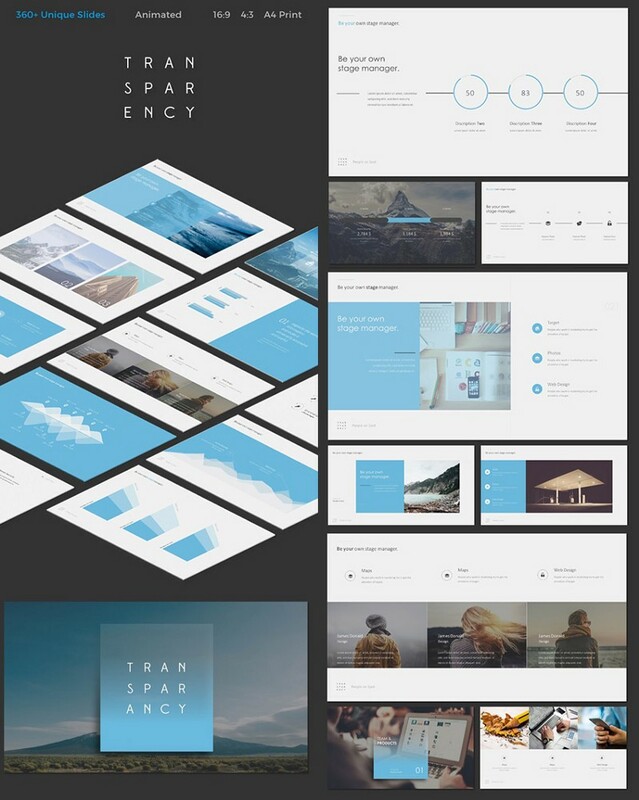 It’s one of the best-looking PowerPoint templates. You can visualize your business or creative ideas quickly, showcase your points with bold typography, alongside powerful photography cropped into energetic shapes, or inside easy to understand infographic layouts. If you need an awesome PowerPoint template, with a minimal cool design, Balance has just what you need. It’s a gorgeous deck with a number of creative slide designs. It features compelling uses of photos, text, skewed shapes, and comes with a number of icons and infographic designs. It has everything you’d want to make a great presentation quickly! 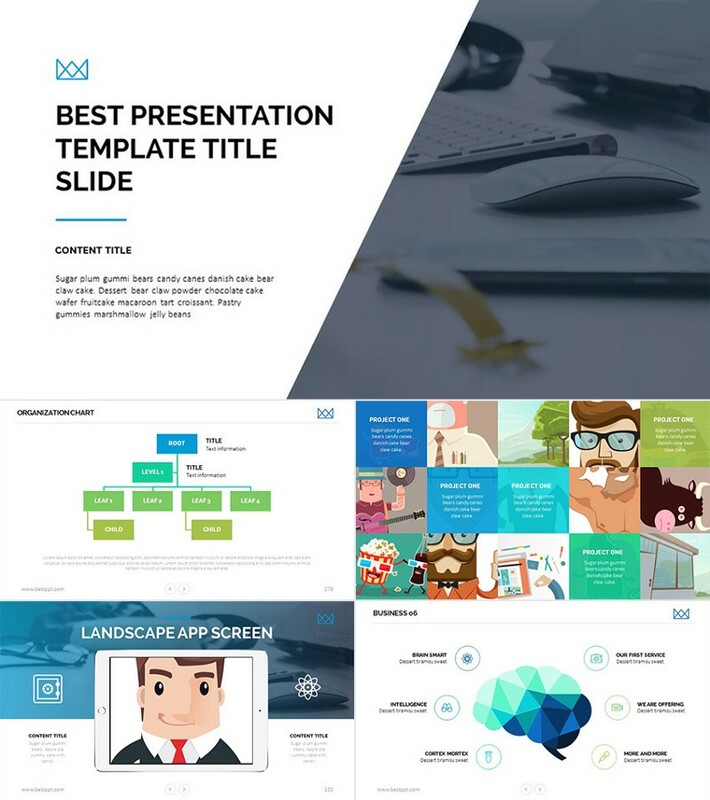 This cool PowerPoint template has a number of colorful slides with full-width photos, plenty of creative vector graphic illustrations, and professional infographic slides, as well as impressive animation effects that you can make quick use of. Showcase your important points, and back them up with killer data visuals, and an awesome PowerPoint design that comes alive with this modern presentation set! When you have an idea that’s clamoring to be heard, and an audience that needs to be won over, you need a template that packs an awesome punch. 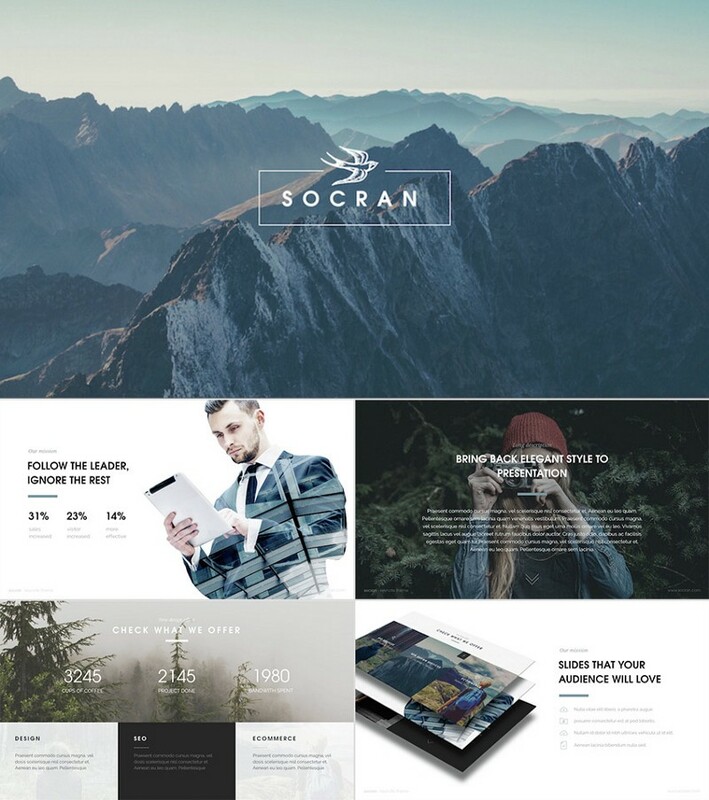 Socran is a stylish, minimal presentation theme with over 100 unique slide, powerful data charts, and beautiful layouts — so you can quickly make a presentation that communicates and persuades! If you have an audience that should really feel what you have to say, then you need a cool PPT template that can help you visualize your ideas. Presentations need to tell stories, and do so in a concise and compelling way, with powerful graphic slides that compliment your points. This template packs in a number of modern design elements, from dramatic image layouts to bold type, which you can use to make a great deck with fast! 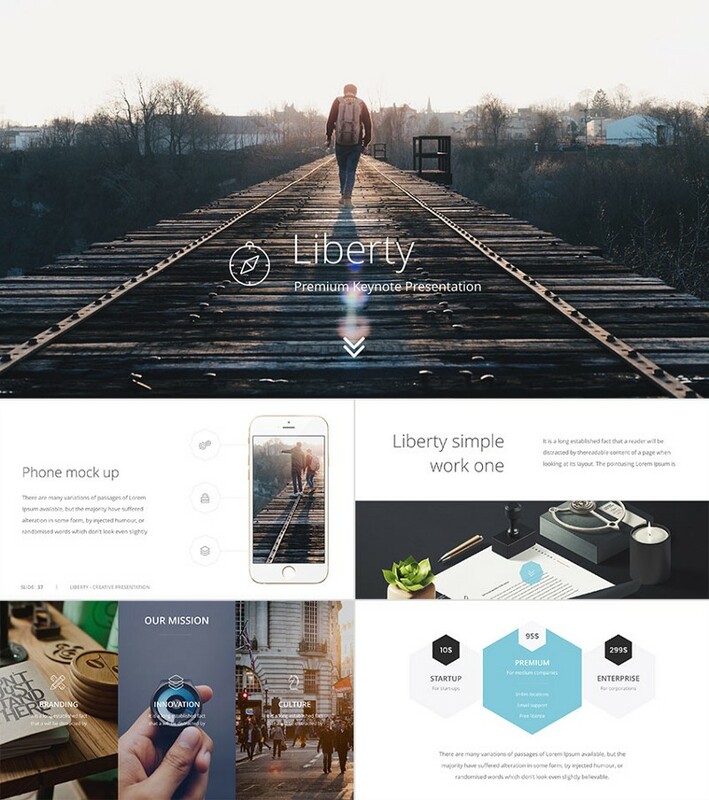 Liberty is an energetic PPT presentation design, with creative layouts, that uses cool graphic elements, icons, and infographics to call attention to important headings and areas of text. You can customize all these elements with your own info, photos, and more. It’s made simply, so you can easily change it to your presentation needs, adjusting colors, inserting you messaging, and dragging in your own elements quickly. This minimal PowerPoint template has a clean style mixed with fresh design elements. It comes with diagram collections, cool textual and image data slides, as well as infographics, charts, graphs, and plenty of icons. Use it to create a number of business presentations with, as it has a full range of flexible presentation assets with cool PowerPoint designs and easy to work with features. With over 350 unique slide design, and cool transparency effects, this awesome PowerPoint template is made for creative business presentations. 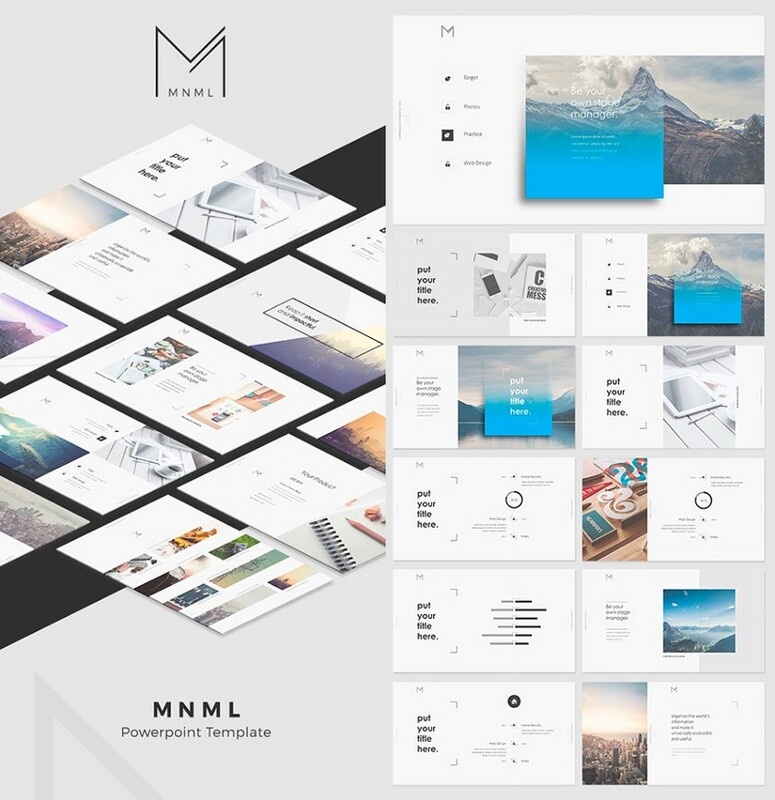 Put its modern and timeless style to use to bring your ideas forward with just the right blend of photo, text, and design elements. There’s a ton of charts, icons, mockups, creative layouts, and more — ready to make your presentation stand out and be remembered!